The Valencia-Trinidad Alfonso EDP Marathon, held by SD Correcaminos [running club] and Valencia City Council, has presented the official running vests for the 37th edition of the trial, to be held on the 19th of November 2017. The new garments — which will be worn by thousands of runners — are highly innovative. For this edition of the trial, Luanvi, the official sponsoring sports brand, has chosen a special fabric that reacts with the runner’s sweat to reveal a design that is ‘hidden’ when the vest is dry. The Valencian brand has called this the ‘T-sweat Effect’. The hidden design is revealed when the fabric is damp with sweat. In this case, the ‘hidden design’ comes to life as the runner pounds the streets of Valencia, thanks to a special technology termed Magic Print. Luis Martínez, Luanvi’s Product Director, said at the Press Conference that the latest vest “applies things that are world firsts in marathon vests, yet it also sticks to the technical parameters used for the Half-Marathon vests to ensure the same ‘breathing fabric’ for runner comfort”. 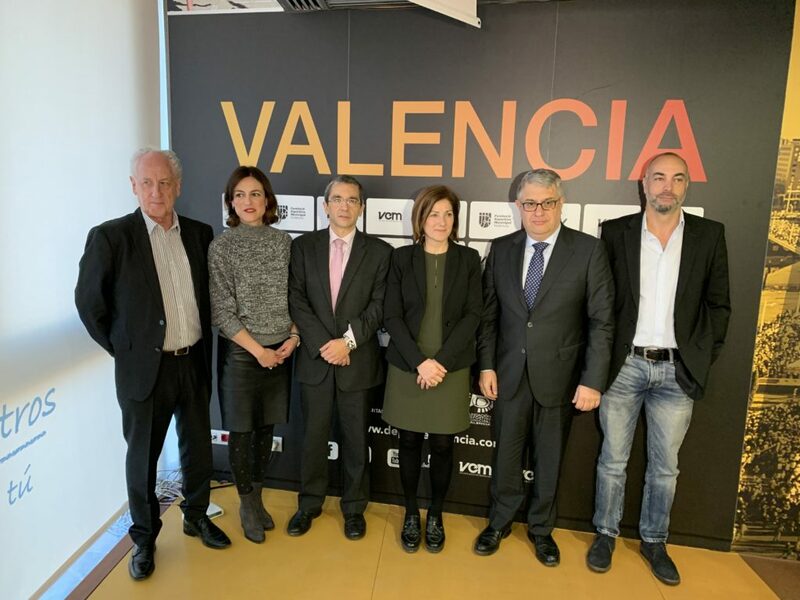 Vicente Tarancón thanked the Valencia Marathon organisers for the chance to carry out this initiative and said that “The Valencia Marathon’s international projection is very important for Luanvi”. This year the Marathon will hold a 32% of foreign runners. 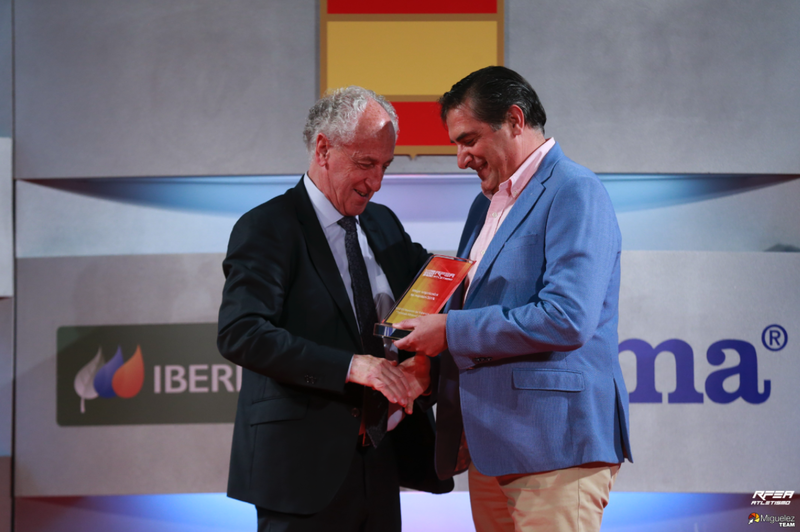 Last, Juan Botella, Director of SD Correcaminos [running club], thanked the firm, stressing “Luanvi’s strong commitment to the trial with a vest that runners love and which will become a garment that epitomises the quality of our Marathon”. Following on the heels of the enthusiastic reception given to the vest for the recent Valencia Half-Marathon, the Luanvi firm’s latest design for the Marathon further enhances the prestige of ‘Valencia — Running City’ (which has the fastest circuit in Spain). The design features a straight golden line, which represents the very fast, virtually flat course that has earned it the IAAF Gold Label — the top category, which has been reconfirmed this year. The design highlights the various sights that the over 19,000 runners will see in this year’s event. Those competing are drawn from over 87 countries. 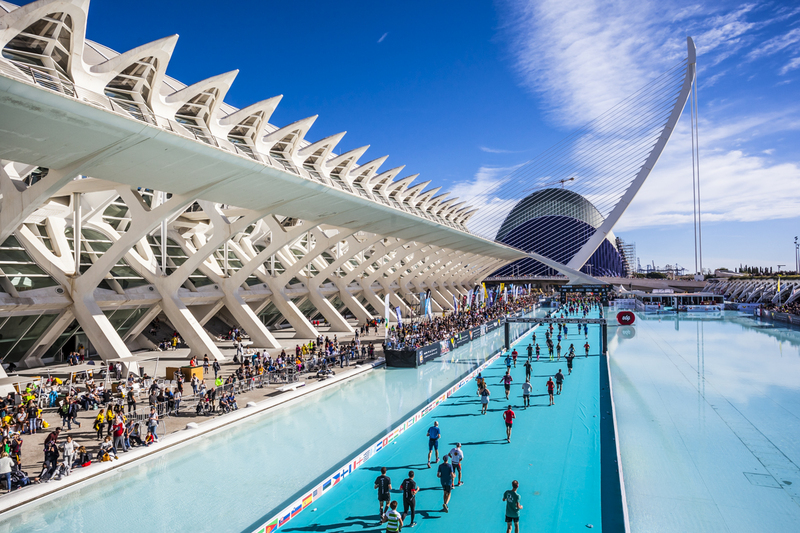 The 42 ‘golden kilometres’ will end just a few metres from the classic ‘marine’ boulevard in Valencia’s City of Arts and Sciences. It was here that the organisers, sponsors, runners and general public gathered for the presentation. As well as the race vest, Luanvi has also designed a whole line of merchandise that includes various sports garments such as vests, track suits, caps, and other items. These garments can be bought on the 17th and the 18th of November at Luanvi’s stand at the Runners Fair. The race vest is made from multi-thread, polyester micro-fibres whose section is specially designed to draw sweat to the outer part of the fabric and dry more quickly — employing what we term ‘cool-skin technology’. The mesh structure of the fabric yields a garment that is both more elastic and softer to the touch. The visible printing uses dye sublimation, which fixes the design to the fabric through high-temperature pressing. This is a more ecological approach than using water in dying processes, given that the dye goes straight from a solid state to a gaseous one on the fabric. We call the invisible printing ‘Magic Print’. This uses special printed layers that only show the design when the fabric is damp. This kind of technology is in vogue and it is used for infant clothing to detect whether a child has a fever. Magic Print will fade with time. This is a technique that is based on traditional rotary printing but using special hydrophobic chemicals that only become visible when damp. As well as the running vest, Luanvi has designed a whole line of merchandise that includes various sports garment for runners, such as vests, track suits, caps, and other products. These garments can be bought at the Luanvi stand at the Sports Fair on the 17th and 18th of November 2017.